Home remedies for congestion offer a better approach to overcoming those nasty, stuffed-nose symptoms so you can breathe better. Lower temperatures, fewer daylight hours and busy schedules provide ideal conditions for flu and colds. The discomfort and pain related to nasal congestion, combined with the inability to breathe can leave you feeling annoyed, exhausted and too ill to do anything. While there are several over the counter relief remedies that are routinely prescribed for congestion relief, they come with a bag full of side effects. Many of them do offer immediate relief but they can leave you feeling worse off than before in the long run. Worse still, when you use prescription medication for extended periods of time, they lose their efficacy at the regular dosage, which means you have to increase the dosage for the medication to work. This results in a vicious cycle of dependency, which is the last thing you want. 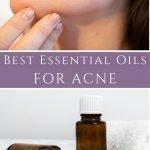 Instead, it is far better to resort to home remedies for congestion. Fortunately, there are numerous herbal and natural remedies that work to decongest your stuffy nose and reduce sinus pressure so you can breathe better. All of these home remedies for nasal congestion have been used for hundreds of years in various cultures around the world. 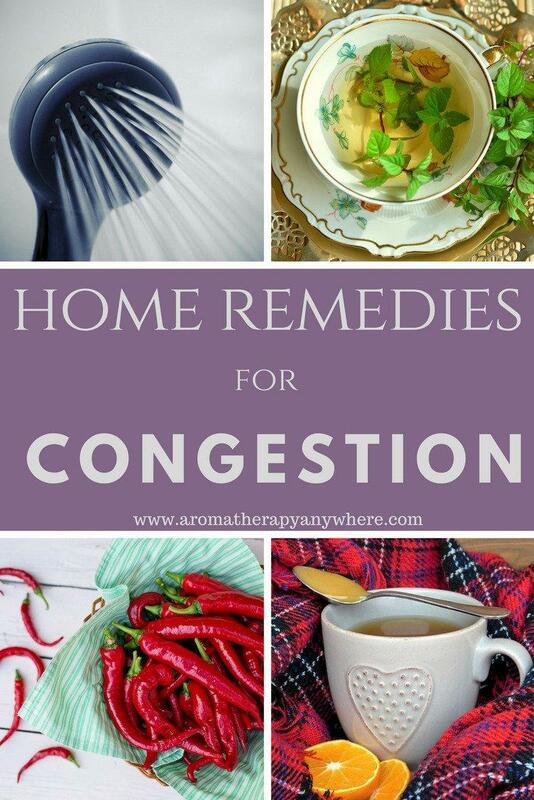 Alright, so let’s get down to taking a closer look at some of the most effective home remedies for congestion. Standing under a hot shower – as hot as you can handle – is one of the best natural remedies for congestion. The steam helps to dislodge the stubborn mucus and helps you breathe more easily. Adding a few drops of eucalyptus, peppermint or rosemary essential oil to the shower floor will increase the efficacy of the steam. All of these essential oils are rich in menthol and breathing in the menthol-filled steam will help open up the sinuses. You can also get quick relief by using a bowl of boiling water. You can add freshly dried herbs such as rosemary, eucalyptus or peppermint. To relieve congestion, lean over the bowl and breathe in the steam as much as possible while tenting your head with a towel to trap the steam. The flu and cold can leave you dehydrated, which can exacerbate existing symptoms. Vaporizers or humidifiers add much-needed humidity to the home or office. This additional humidity can lead to quick relief as they help in breaking up decongestion by increasing moisture content in the air, which aids in thinning nasal mucus. While cool-mist and warm-mist are just as effective, using a cool-mist humidifier for kids is better as it eliminates the risk of accidental burn from higher temperatures. Cleaning your humidifier regularly is important to prevent the growth of mold and bacteria. If you find the cleaning instructions in the manual too tedious, simply wipe the device daily with a 10% bleach solution, which is a 9:1 water to bleach ratio. Sipping hot water helps to relieve nasal congestion through multiple mechanisms. In addition to keeping your body hydrated, the warm water also has a placebo effect on the body. Although sipping any hot drink works great as a natural remedy for congestion, having a tasty drink provides a better response as it enhances the placebo effect. Hot soup, green tea, or hot water with a dollop of honey and ½ teaspoon lemon are excellent alternatives when you are looking for home remedies for congestion. Check out this Tomato Tea recipe. Those who have tried it have hailed it as an excellent nasal congestion remedy. Heat up the juice in for about a minute in the microwave, to make it steaming hot. Stir in all the remaining ingredients for a delicious, healthy, congestion-busting tomato tea. This remedy focuses on delivering saline water into the nose gently to relieve nasal congestion. You will need a neti pot to do this. This Himalayan Chandra Porcelain Neti Pot is the most popular and highest rated on Amazon. You won’t find a better neti pot at that price. Fill the neti pot with salt solution and gently insert the spout in each nostril with your head tilted upwards. This allows the saline solution flow into the nasal passage. Important– use pharmaceutical salt for the best outcome. Health practitioners highly recommend this remedy for its effectiveness over a shorter period as compared to those who used saline sprays. Additionally, nasal irrigation using a saline solution reduces the need for steroid sprays in kids with allergies. It is safe to use a neti pot every day. Pick one up today if you are prone to congestion. You won’t regret it. Whether you inhale it, drink it, gargle with it or squirt it up your nostril, Apple Cider Vinegar works well as one of the more effective home remedies for congestion. You can either drink Apple Cider Vinegar by itself or add some cayenne and lemon juice to taste. Stir all ingredients well and drink 3 – 4 times a day. To breathe in ACV, boil some in the microwave and inhale the steam. It is easy to make your own vapor rub that you can use as a natural remedy for congestion. All you need is wintergreen or peppermint essential oil and coconut or palm carrier oil. Take an ounce of palm or coconut oil and add it to the wintergreen essential oil or peppermint essential oil. Add the essential oil one drop at a time and adjust till you get your choice or strength. Dab your DIY Vapor Rub with essential oils under your nose or spread it on your chest. 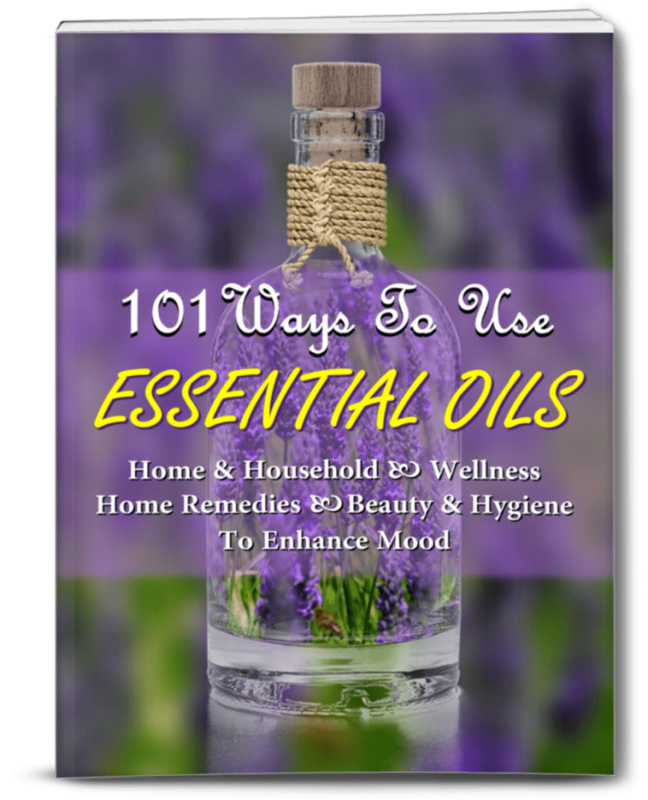 Cautionary note 1 – Do not use essential oil directly on your skin. You must blend it with a carrier oil before any topical application. Cautionary note 2 – Do not use rosemary or eucalyptus essential oil on children under the age of ten. Also, avoid using any type of mint oil on kids under the age of six. You can use spruce, fir or Cypress essential oil as an alternative for children aged two and above. Make use of other remedies for the younger ones. If you have had stuffy sinuses before, you know that congestion gets worse at night and prevents you from getting a good night’s sleep. This lack of sleep could lead to a vicious cycle. You need lots of rest to recover from the flu or cold but the congestion symptoms do not allow you to get the rest you need so you take longer to heal. One way to makeover your nighttime routine is to place an extra pillow under your head while sleeping. This helps the sinuses to drain out more easily. Another thing you could do is to ensure your room is humid while you sleep. This will help thin out the mucus in the nose and minimize the congestion. You can also use nasal breathing strips while sleeping. These work by lifting the sides of the nose, which opens up the nasal passage. Breathe Right Nasal Strips are drug-free and highly recommended by over 850 users on Amazon. Turmeric is a strong antibacterial, anti-inflammatory, and antioxidant agent, which make it an effective home and natural remedy for nasal congestion. It works by reducing inflammation and swelling of the nasal passages, thus providing fast relief from congestion symptoms. It further provides powerful boosts to your immune system. Boil a glass of milk, then add a teaspoonful of turmeric and then simmer for about 4 minutes. Add a little raw honey and serve. Have this turmeric milk at least twice every day to speed up the recovery process. Another effective natural remedy for congestion using turmeric involves combining two tablespoons turmeric juice, one tablespoon lemon juice and raw honey, and a dash of cayenne pepper. Mix well. Drink this mixture twice daily. Cautionary note when using turmeric for congestion relief – It is always better to use pure organic turmeric root powder from a reputed brand, especially as you will be ingesting the powder. Starwest Botanicals Organic Turmeric Root Powder comes highly recommended by more than 1,400 users on Amazon. Cold-busting vitamin C can help ease congestion. Vitamin C is known to shorten cold and flu duration as well as decrease symptom severity although it does not affect congestion directly. If you are fighting a cold-related congestion, having some vitamin C can help you battle cold symptoms first. However, if your congestion could be related to allergies, this remedy may not give you much relief. There are few herbal remedies, particularly eucalyptus oil and methanol, that can help you ease congestion. Both of these are effective natural remedies for nasal congestion, although they both work differently from one another. Methanol, a peppermint oil derivative, can be found in rubs and balms for congestion. Methanol does not decrease congestions. Instead, it stimulates the nasal nerve receptors that make the nose feel as if more air is flowing through it, which is perceived as cold air often. Eucalyptus essential oil on the other hand act as an expectorant by loosening phlegm in the lungs. Try out eucalyptus oil steam to reduce congestion. Some foods contain ingredients that act as powerful natural remedies for congestion. Foods that are effective as home remedies for congestion include Garlic, pineapple and certain herbs and spices such as cayenne pepper, horseradish, and hot mustard. Flaxseed, cold water fish, nuts, and cod oil, all of which are rich in Omega 3 Fatty acids are also excellent choices as are foods rich in Vitamin C, such as citrus fruits, melons, and berries. Don’t forget to increase your intake of Apple Cider Vinegar and fluids such as hot tea at this time. Certain foods worsen congestion symptoms and are best avoided. These include all dairy products, sugar, grains and starchy root vegetables such as potatoes. Clearly, a primal diet can be very helpful if you suffer from a chronic congestion. Applying a hot pack across your nasal bridge is another common home remedy for congestion. Making a hot pack is easy. Squeeze out a wet towel and heat it in the microwave for about a minute. Be sure to check if it is not too hot before placing it on your face. Cayenne pepper is one of the effective home remedies for relieving blocked sinuses and nasal congestion. Cayenne pepper contains Capsaicin, which works as a powerful decongestant and relieves nasal passage inflammation. In addition, its fiery effect induces a running nose, which gets rid of mucus as well as allergies in the sinuses. As a result, a blocked nose is relieved! Mix a ½ teaspoonful of cayenne pepper powder and one tablespoon of honey and eat 3 to 4 time a day. Alternatively, dip a cotton pad into cayenne pepper and insert the cotton pad carefully into your nose to clear sinuses through sneezing. Although there is a burning sensation in the beginning, it passes fast and effectively relieves pain and pressure in the sinuses. If your nasal congestion is severe and lasts more than seven days you may need to book an appointment with your physician. A viral infection normally disappears on its own in about a week, but an infection that persists could be due to a bacterial infection that requires antibiotics. A visit to a doctor is definitely called for if you have other symptoms such as nose bleeding, breathe shortness, high fever or tooth pain along with the nasal congestion. Practicing a few preventive measures beats having to resort to home remedies for nasal congestion. These 2 preventive measures can do much to keep winter chills and congestions at bay. Get enough sleep. Sleep recharges and revitalizes your body and important for the proper functioning of brain and body immune system. On the other hand, sleep deprivation compromises the immune system, which affects its ability to fight infections. Wash your hands regularly. Colds and the flu are commonly spread by contact with infected surfaces. Washing your hands regularly, especially when you come back home from shopping or a visit to the doctors, can help reduce the risk of colds, flu, and nasal congestion. A stuffy nose can be nasty and can make it difficult for you to get on with your everyday activities. Use one or multiple of the above-mentioned home remedies for congestion to get back on your feet again as quickly as possible. Disclaimer: This information is not intended to serve as medical advice. Please consult your physician before using essential oils. See Full Disclaimer here. Check Out the Mother’s Day Gift Guide at Plant Therapy and Find That Special Gift Today! Your email is safe with us. It will never be shared with anyone else.